September 2017 – The University Hospital Bern (Inselspital) has decided to renovate its gynecology clinic as part of the master planning of the hospital campus. The decision was made after alternative options, e.g. dismantling and moving into other buildings have proved impractical. MMI has developed several alternative relocation and moving scenarios to form the basis for decision-makers´deliberations. In addition, MMI determined space capacities and described operational and strategic consequences. The gynecology clinic is now due to move into the new building of the organ and tumor center (“Theodor-Kocher-Haus”) for the duration of renovation. Although the newly built gynecological clinic was only commissioned in 2002, a refurbishment is inevitable, as the building is not earthquake-proof and has further structural defects. 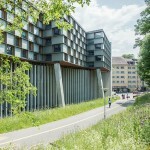 The renovation is estimated to cost about CHF 100 million and is expected to take two to three years. The relocation of the clinic is expected to happen in spring 2018. The gynecological clinic moved to the new building in mid-June 2018. The move back is planned for 2020/21 after completion of the renovation work. The strategic planning carried out by MMI has been completed.